← Blood off to CHOP: exciting! 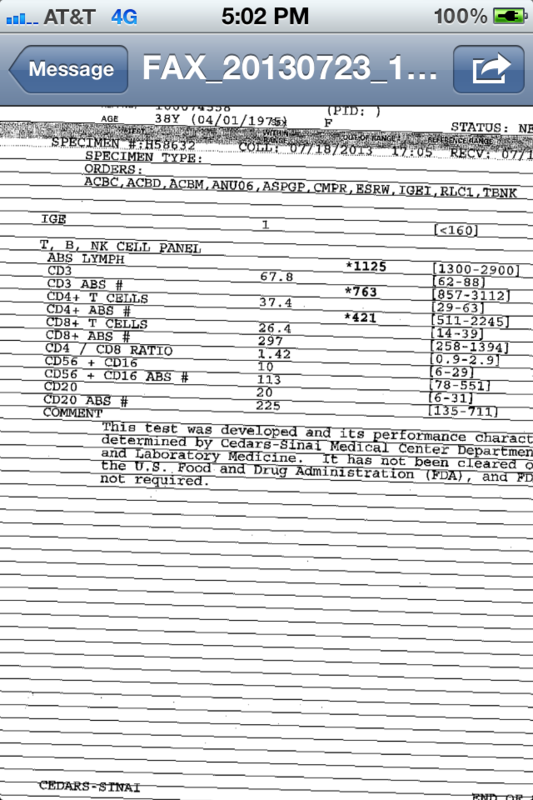 I’ve attached a copy of my T, B, and NK panel results from last week…it’s kind of what is typical for me. I vomited really badly earlier today, without a lot of coughing, while I was on a completely empty stomach…I just woke up horrendously nauseous, and eventually I caved and I had to throw up…it was painful, because there wasn’t anything in my stomach. This entry was posted in Test Results. Bookmark the permalink.